Mexican wedding dresses come in a variety of styles, materials and designs that provide the bride with infinite possibilities. 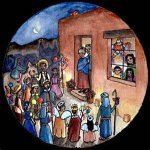 Other than using a white or beige garment and maybe some expectations regarding the dress length, the dress tail, and the use of a veil; there is not one specific Traditional Mexican Wedding Dress. Here are some of our favorite designs from Mexican designers and other with traditional Mexican influence. 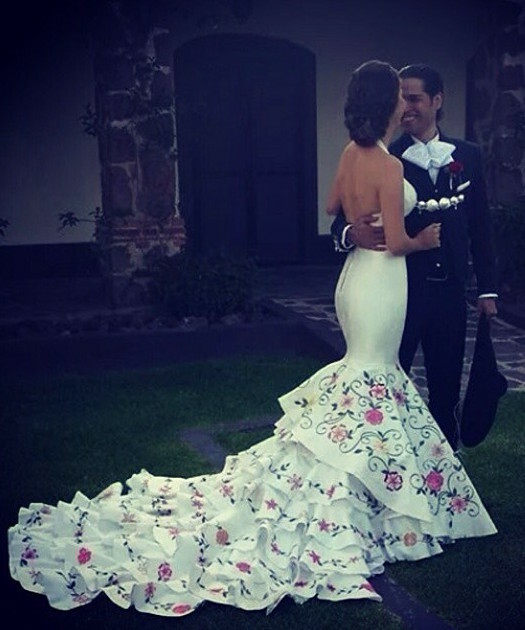 Here is our very favorite Mexican wedding dress. 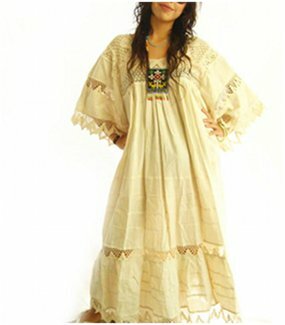 The Mexican huipil wedding dress is made in manta 100% cotton, a full length dress that fits perfect. 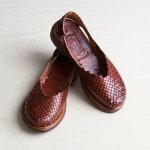 Romantic and comfortable, a delicate piece to keep for future occasions too. 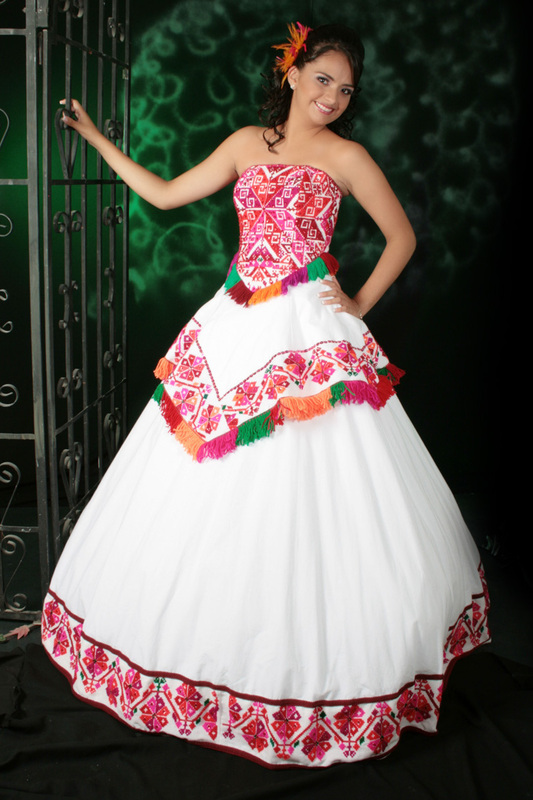 This beautiful Huasteco wedding dress is embroidered by the Tenek indigenous community in the state of San Luis Potosi in a region called La Huasteca. A local designer is working with them to create this beautiful dress. This unique wedding dress is strapless with typical embroidery in the chest and a type of quexquemitl at the waist. Although the quexquemitl is typically used by the indigenous women to cover the torso, the designer made an incredible dress combining typical indumentary with modern design. Here is the bride Ana Patricia Gonzalez using a stunning wedding dress in a very Mexican wedding in the state of Jalisco Mexico. The dress has extensive embroidery in the bottom and tail. The groom was wearing an original Mariachi outfit. This modern wedding dress. Created by Mexican designer Paco Mayorga, this is a one shoulder gown with the most delicate lace in the bottom part of this full length dress. The soft texture of the dress makes it very comfortable to wear and emphasizes feminine figure. This contemporary wedding dress created by awarded Mexican designer Lydia Lavín is a gorgeous dress; favors femininity in every detail. The geometrical shape emphasizes proportion and gives a sense of power. This Mexican hippie wedding dress from Aida Coronado has a lot of handmade details; made in manta, perfect for warm weather. 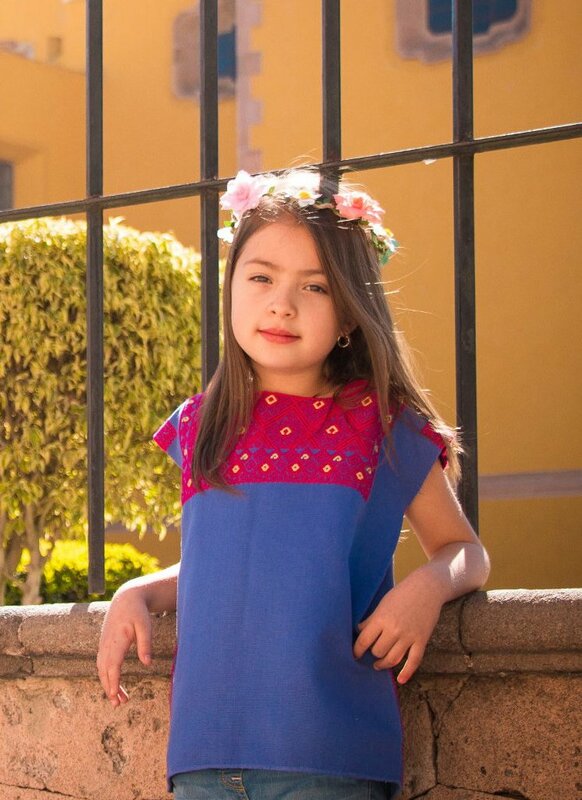 There are Mexican wedding dresses for all likes; from the sophisticated styles with very traditional Mexican symbols to the simple designs with a modern look. Designers today give you a choice of the sophisticated style with the Mexican touch or the more traditional Mexican garment that is used for the beach or casual wedding celebration.